Note: this course is closed for September 2019 entry. New applications for September 2020 will be open when the new UCAS cycle starts. Our reputation for providing a high-quality, innovative paramedic education means that you gain the skills, knowledge and experience you need to be eligible to register as a paramedic with the Health and Care Professions Council. The BSc (Hons) Paramedic Practice degree course at Teesside is endorsed by the College of Paramedics. 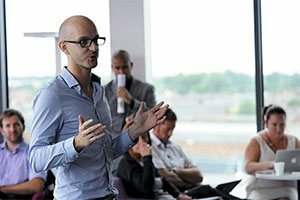 This degree ensures that you have the depth of knowledge, skills and experiences to be a highly skilled autonomous practitioner able to confidently assess, prioritise, transfer, manage, treat, refer and discharge service users in the community.This course delivers an equal balance of theoretical and practical learning. Throughout the course, as part of the placement experience, you will be required to participate in a shift pattern rota or work weekends. You are exposed to a unique range of practice placements comprising 60 weeks in total. Practice placements reinforce taught elements allowing you to apply theory within practice, gain valuable practical experience and prepare for the role of a modern paramedic. Within a practice setting all students are supernumerary, ensuring maximum exposure to the role of the paramedic and patient care episodes. A qualified practice mentor supports your learning and help you develop your knowledge and skills in practice. We have ongoing approval from the Health and Care Professions Council, a multi-professional regulator that sets the minimum standards of education and training proficiency for 16 separate professional groups including paramedics. Teesside University exceeds these standards as demonstrated by our additional endorsement from the College of Paramedics, the UK’s paramedic professional body. We meet all of the professional body's curriculum standards and professional competencies, considered to be the gold standard for modern paramedic education. This ensures successful graduates become competent, autonomous professionals prepared for the demands of 21st century out-of-hospital healthcare. The School is committed to the development of quality courses and to the enhancement of the student experience. To that end the Student Voice is central to the design and delivery of the learning experience. We invite you to provide feedback at key points in your student journey and ensure that we respond to your feedback through our 'you said, we did' approach. Health and Care Professions Council. Please note 100% attendance is expected during this programme. This course is endorsed by the College of Paramedics. Theory is vital to provide you with the knowledge, understanding and critical decision-making skills you need as a paramedic. The modules you study across the three years enable you to develop knowledge and put it into your practice placements to enhance and develop your skills as you make an immediate and continuing contribution to service user care. You also develop enhanced communication, personal and professional skills. You will be able to confidently take a history from a service user to assess their needs and prioritise care; formulate a management and treatment plan; refer service users to other healthcare providers or professionals and, in a significant number of cases, offer care at home, advice and guidance and promote healthy interventions and conversations with service users, carers and their family. You continually develop your clinical decision-making and complex-problem solving skill, and support service users navigating and interpreting healthcare information and clinical guidance; and offer advice from your well-developed understanding of evidence-based practice. Care, compassion and commitment to high-quality care are essential skills. We support your development as a clinical leader and key decision maker as we develop your professional skills and understanding of the wider healthcare network in practice placements. Your practice placements are in a variety of emergency care placements (hosted by ambulance services) and community placements (hospitals, community bases and other areas) such as intensive care, helicopter emergency services, GP surgeries, urgent care centres, mental health teams, children services and more. These enable you to plug in and network with other healthcare professionals to ensure your service users access the best and highest quality of care provided by you or other healthcare professionals at the right time, by the right person at a convenience place to suit them. If you need more information to get a real sense of what it’s like to be a Teesside University paramedic student just ask our students – we're on Twitter, Facebook and Instagram. 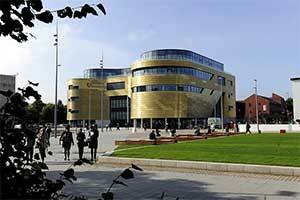 You study at Teesside University's Middlesbrough campus. Placements are across the North East and Yorkshire and you should expect to sometimes travel to placements at a distance from the University. Emergency care placements are hosted by ambulance trusts in the North East and Yorkshire and other areas, and community care placements can be in any trust across the North East and Yorkshire regions. You do not have to have a driving licence to apply for this programme but access to transport is essential. Get to grips with the basics of anatomy and physiology – anatomical names for bones, structures and how they work and interact with each other. This forms the basis of how the human body works (like the cardiovascular system, respiratory system) how it should work normally, and how and why it sometimes doesn't. You explore what can go wrong and the impact of lifestyle, infection, disease, chronic long-term illness (such as diabetes) and acute illness (chest infection, myocardial infarction) on the body. You learn how to use and access equipment to help you make a diagnosis or inform your decision about how to manage a service user or formulate a management plan. Skills such as taking a pulse, blood pressure, inserting a cannula, managing an airway, using a stethoscope or a heart monitor to help diagnose a myocardial infarction. You gain confidence in using all types of equipment and develop practice skills to support your diagnosis and treatment plans. You start to learn how to take a comprehensive patient history to prioritise care and management of the service users you assess. All of the practice placement learning sits in this module. You are out in practice for 750 hours (20 weeks) in emergency care and community placements, putting all of theory you have learned in Year 1 into practice. First-year placements include spending time developing your caring skills in a ward area or nursing home, emergency care in an ambulance, critical care (ITU, HDU, emergency department) and patient assessment areas (GP practice, urgent care centres). This module explores what it means to be a professional and how to act, think, feel and make professional decisions. We look at the role of the regulator – the Health and Care Professions Council – and how it protects patients, paramedics and the wider NHS, and how paramedics can make a contribution to the wider healthcare network. You also explore the law in relation to medicine and ethics with some case studies and group discussions. This is a transition module to higher education. As you progress through the programme you need to be able to present information to a group or wider audience, write reports, consider evidence, find evidence and support patients’ navigation through the huge amount of healthcare information available to them. This module begins your journey of academic writing – where does evidence exist? How do you use it? Where do you find it? How do you present it? This is the start of reflecting on your experiences, and being critical of yourself and others. Following on from the Foundations of Anatomy and Physiology for Paramedic Practice module in Year 1, you further develop your knowledge of anatomy and physiology, and start to understand pathophysiology. This is the complex understanding of body systems such as the cardiovascular and respiratory systems, the changes chronic and acute illness have on the efficiency of those systems, and the outward impact of diabetes, asthma and other illnesses and diseases. You develop your ability to find and interpret information, and make professional comments on the quality and strength of evidence. You also develop a good understanding of research and research processes and how they inform, enhance and develop practice guidelines and treatment options for service users. You gain confidence in interpreting, presenting and commenting on evidence and its value for service user care, integrating this into your decision-making and problem-solving skills. This module further develops your use and understanding of diagnostic equipment, enabling you to support your assessment and management of service users. You develop your skills in managing care and refine your ability to refer service users to other healthcare professionals in the community, another healthcare provider, or treat and manage the service user yourself in the community. You will continue to draw evidence into your decision-making skills and involve service users and their carers in your decision making. All of the practice placement learning sits in this module. You will be in practice for 750 hours (or 20 weeks) in emergency care and community placements putting all of theory you have learned in Year 2 into practice. Second-year placements include spending time further developing your caring skills and having specific placements in mental health (crisis team, drug or alcohol teams), children and family care (community or hospital) and patient assessment areas (GP practice, urgent care centres). You further develop your understanding of how to manage major trauma. Paramedics who chose to work in this area, as part of a hazardous area response specialist team, in an emergency department, as part of a major trauma team or responding on behalf of an emergency service, develop key skills in rapid assessing, managing and treating service users who present with trauma. You develop your skills of advanced airway management and interventions. And you further develop your skills in trauma management from Year 1 with practical scenarios on chest decompression, thoracotomy and other advanced trauma skills. This module introduces pharmacology and pharmacokinetics – how drugs work and impact on body systems, particularly those available in the paramedic formulary. The importance of managing medicines effectively, calculating the right dose, ensuring the right medication for the right patient, using the right route at the right time is critical to your role as a paramedic. You gain a good understanding of how medicines work, how to manage them, how to select the most appropriate medicines, and how to give advice on medicines for service users. Your dissertation is an opportunity to demonstrate how you have integrated all your learning of evidence-based practice, decision-making and complex problem-solving. You are expected to carry out a systematic review of a topic of keen interest or one with significant impact on service users and their care. Once completed we hope that you will be able to publish your dissertation results in a professional publication. This module explores more complex, significant or once-in-a-lifetime events such as terrorist incidents, hazardous environments and chemical incidents, and how to work effectively in these circumstances and teams. Specialist teams are usually sent to these incidents and, as a paramedic, you can choose to work in such a team. This module gives you an insight into how these events are managed and your role in such an event. The majority of patients who present to paramedics in the community have minor injury or illness at the centre of their request for healthcare professional intervention. In this module you learn how to carry out an in-depth assessment of minor injury and illness. 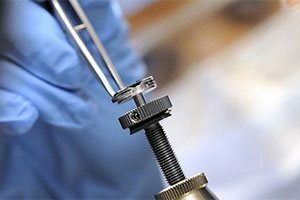 You learn skills such as wound closure, catheterisation, in-depth assessment of minor bony injuries (ankle, knee and hand injuries) and other injuries and illnesses that service users present to urgent care centres, GP surgeries and emergency departments. You develop your skills to confidentially manage these service users in the community, offering advice and guidance on self-care. This module prepares you for becoming a professional and getting ready to apply for registration as a paramedic with the Health and Care Professions Council. You focus on clinical leadership, developing your skills in self-management and personal effectiveness for your transition from student to registered practitioner. Third-year placements mean further developing your caring skills and having specific placements in patient assessment with a focus on community care (GP practice, urgent care centres). You can choose from a range of approved options to spend focused time in an area of practice to hone your skills. You learn by attending key lectures, seminar groups, small study groups and practical sessions. You're also expected, as an adult learner, to carry out significant and additional self-directed study to enhance and complement your learning. Occasionally this will be directed study where the module leader will set an individual or group task or problem to solve. All your learning is delivered by expert lectures, practitioners and researchers. Practice placements are a large part - over half - of this programme and you are expected to negotiate and work with a supervisor (known as a practice mentor) to help you develop your knowledge, skills and understanding for practice. As you would expect there are examinations, essays to write, presentations to do either as an individual or in a group, and practical exams referred to as objective structured clinical exams. A variety of assessment methods ensures we have a wide range of learning styles, so that no student is disadvantaged. You're also assessed in practice using a practice assessment document. Your practice mentor to assess your competencies and skills, demonstrating your ability to perform the role of a paramedic. The assessment methods follow the academic escalator. In Year 1 you are expected to describe and explain, in Year 2 critically analyse and in Year 3 evaluate your knowledge, skills and understanding for practice. recent Level 3 Academic Study within the last five years and applicants must demonstrate an understanding of the paramedic role. 112 points from two or three A levels. These are only acceptable when combined with other qualifications. One AS level can be accepted when combined with two or three A levels to meet the 112 points required. A pass in a QAA-recognised Access course preferably in a science or health subject including 27 Level 3 credits at merit with a minimum of 77 points. *We can accept Level 2 Access units in communication and maths in place of English and maths GCSEs. 112 points (DMM), preferably in a science or health subject. Uniformed services is acceptable. 120 points (B) in health and social care. A pass in any subject. 112 points from four or five Highers/Honours subjects including a science or social science. Level 3 plus 40 credits at Level 4 - a health and social care subject is preferred. Level 2 modules in biology, science, social science or health are acceptable as evidence of recent study if all other academic requirements have been met. 129 points from five Highers including a science or social science subject. 136 points from three Advanced Highers including a science or social science subject. demonstrate that you have undertaken recent Level 3 study within the last five years. If you are invited to an interview and the date is not suitable we may not be able to offer you an alternative date due to the high volume of applications received for this course but it is important that you contact the admissions office immediately. Please note until 1 to 4 have been successfully completed the offer of a place on the course remains conditional. If you are successful at shortlisting you will be invited to attend an interview (which may be in person OR video call) in one of our international offices in either India, Malaysia or China, or through a secure web link (which will be arranged by the University). If you can not attend an interview as stated, you will be unable to proceed with your application. 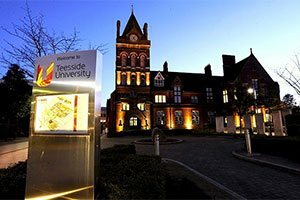 *Students holding TOEFL qualifications at the required grade will be able to combine the qualification with a Teesside University English language test to meet the English language requirement. The English language test will assess listening and speaking competency. You find paramedics in a wide variety of roles and organisations ranging from public bodies, such as the NHS, to more commercially-focused organisations such as cruise liners, factories and events companies. Paramedics can be found in emergency departments, urgent care centres, GP surgeries, helicopter emergency services, harzardous area response teams (HART), cruise liners, in the community as part of the medical team, in events companies, search and rescue, close protection and working for the government, and arm’s length bodies such as Atos. They are also found in research roles in education, teaching pre-registration paramedic programmes, as consultants leading the profession in organisations, and in lead allied health professional roles both locally and nationally. A large proportion of paramedics are employed by NHS ambulance services, voluntary organisations such as St John Ambulance or the British Red Cross, in traditional roles on ambulances, rapid response cars, in HART teams and in other specialist or advanced roles, clinical leadership or education roles in those organisations. If you choose to work for an NHS ambulance service they currently require a driving licence and that you meet the requirements of other Driver and Vehicle Licensing Agency regulations. Your career is very open and varied on qualification. 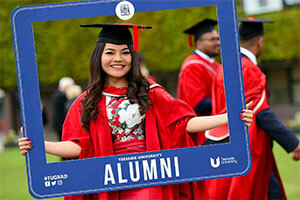 In addition to post-qualifying roles the University also supports additional and enhanced qualifications to further your career in specialist, advanced and consultant roles through postgraduate qualifications such as PgC, PgDip, master’s and professional doctorate qualifications which may further enhance and develop your career in clinical leadership and management. The School of Health & Social Care has impressive purpose-built paramedic facilities simulating real life scenarios using our onsite ambulance. See how our paramedic students benefit and prepare for practice. Anthony completed an Access course in health science at a local college before studying paramedic practice. After working as a medic in the armed forces, Annabel decided to pursue a career as a paramedic. 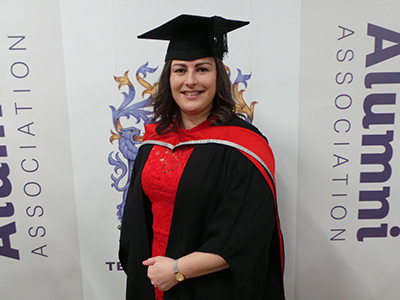 Annabel Law swapped the Army for academia and the choice looks to have paid off as she was toasting a double celebration earlier this month. A new partnership between Teesside University and a prestigious industry leadership and management organisation will see students graduating from Teesside University Business School leave with dual accreditation.